Sarah Chalke Will Bring Her Voice to Netflix With Animated Paradise P.D. Netflix is expanding its adult-cartoon roster. 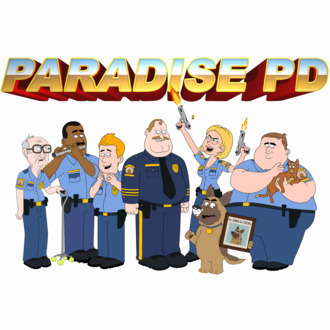 It was announced today that along with Big Mouth and BoJack, grown-ups will be able to get their animation fix with Paradise P.D., a new series about a bunch of really ineffective small-town cops dubbed “the worst responders” in the show’s official log line. Sarah Chalke is onboard as a character named Gina Jabowski, and Bullet the dog will be voiced by comedian Kyle Kinane (of great sad joke fame). Rounding out the cast are Cedric Yarbrough, and voice-acting veterans Dana Snyder (playing two characters), Dave Herman, and Tom Kenny.